While we typically think of Airstreams as iconic American designs, the majestic silver bullets can still be found in countries other than the U.S.A.; they just have a little more traveling to do to get there. This particular 310 Airstream motor home can be found in Cornwall, England, at the beautiful Tregulland Cottage and Barn. 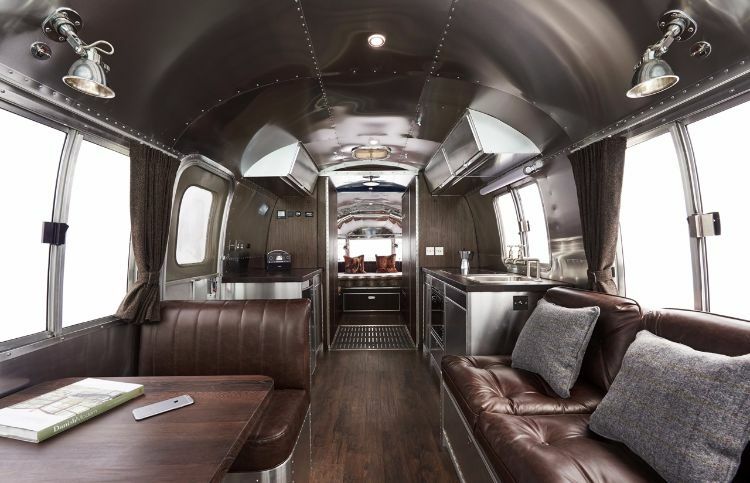 While this Airstream might look a little rustic and vintage on the outside, the interior is pure luxury. 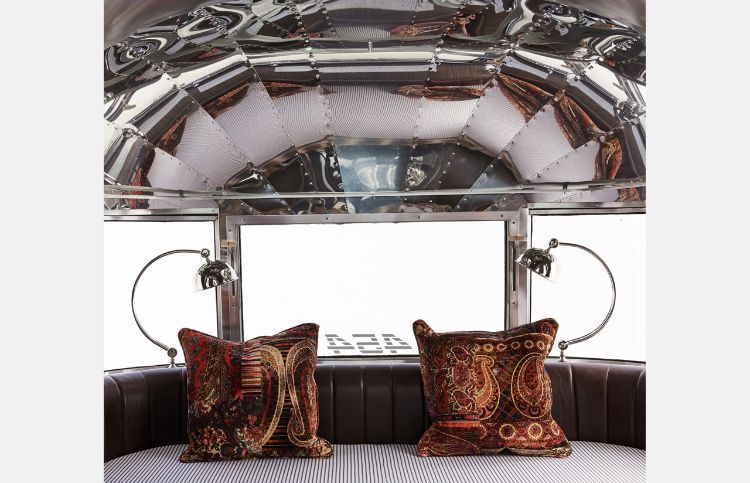 The motor home was recently given a complete makeover by American Retro Caravans, a U.K.-based company that specializes in Airstream renovations and restorations. The completed masterpiece serves as an overflow accommodation at Tregulland, or it can be delivered to the guest's choice of venue. 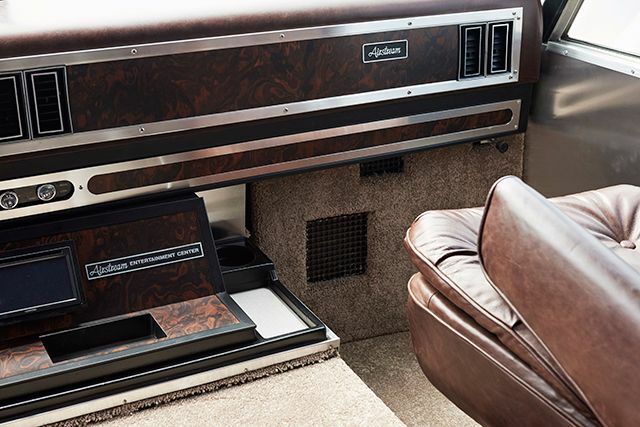 The first thing you notice when you step foot inside this Airstream is the use of rich, brown leather. The stuff is everywhere. This is because the concept behind this renovation was the iconic Andrew Martin Spitfire chair. 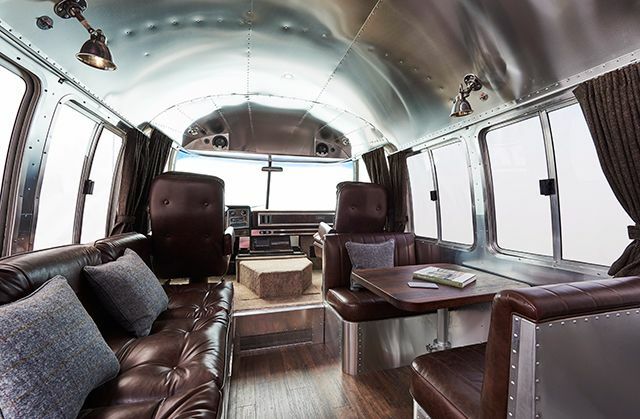 Just like the bold artistry of the chair, this Airstream features handmade riveted aluminum furniture and a ton of distressed leather. Not even the driver was neglected in this renovation. This cab is just as lovely as the rest of the Airstream with soft leather seats and a brand-new surround-sound speaker system. Looking toward the back of the Airstream, you get a sense of how open and fluid the spaces are. You can see all the way to the back bedroom. The large windows offer a view no matter which room you are in. The kitchen features solid wood countertops and hand-built aluminum cabinets. 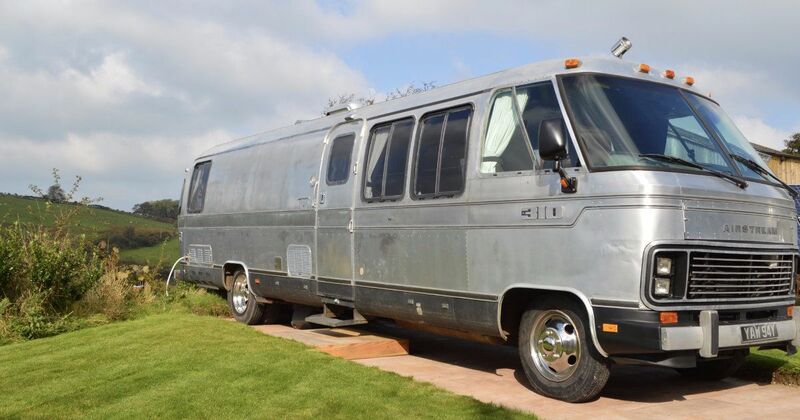 This Airstream proves that there is no such thing as too much aluminum. This bathroom is incredibly unique for an Airstream. 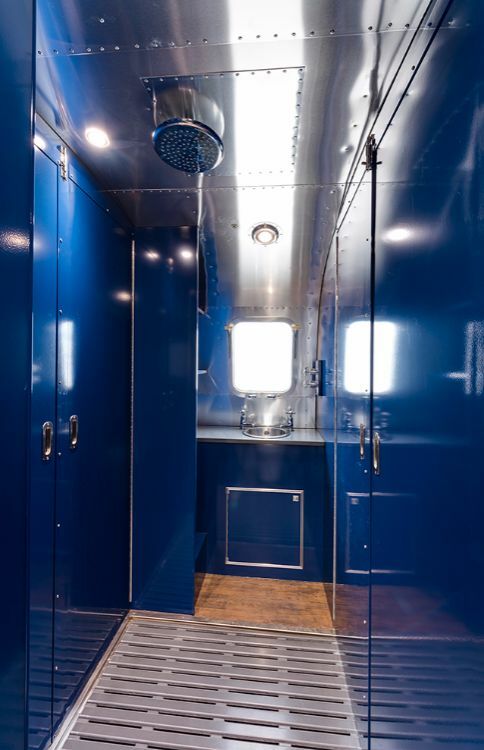 Located in between the kitchen and the bedroom, once the doors are closed on all sides, the area converts into a shower larger than most other Airstream models. Not only is the shower huge, but the bed is also just as impressive. Plop down onto that cozy emperor-size mattress and look up to see your reflection in the ceiling. You'll sleep well here. 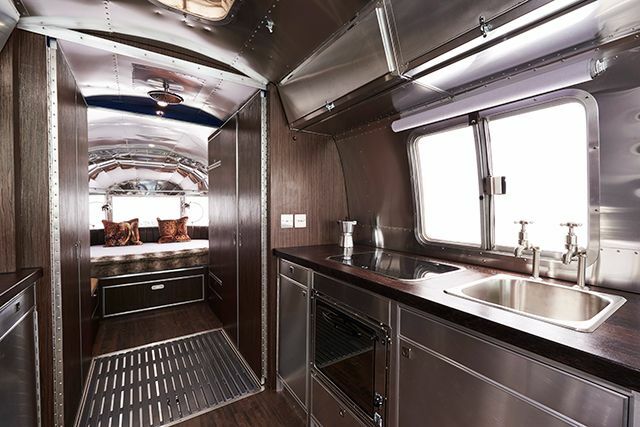 Are you as amazed by this Airstream renovation as we are? Be sure to share this beauty with your friends on Facebook, Pinterest and Twitter!